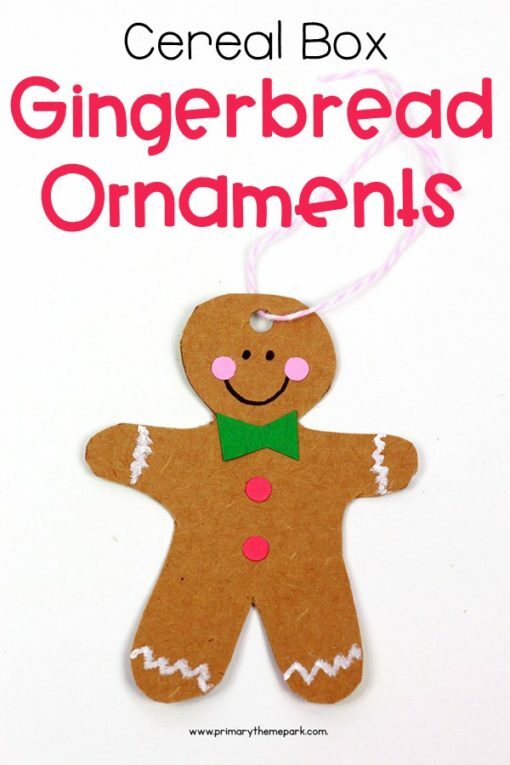 I bet you already have everything on hand to make this adorable gingerbread ornament craft. 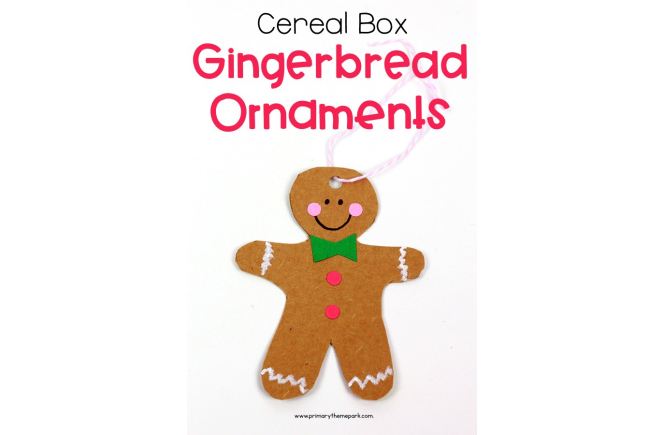 Just grab a cereal box out of your recycle bin, scissors and a few other supplies and you’re all set! 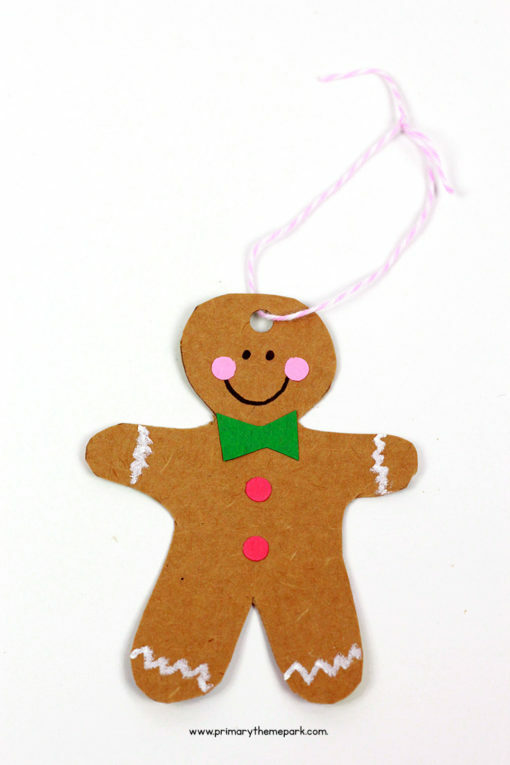 These ornaments are perfect to make if you need a quick, mess-free craft. Open up a cereal box to the brown inside. 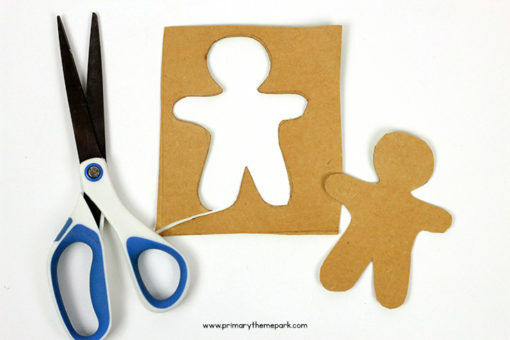 Trace around the gingerbread cookie cutter or stencil and cut it out. 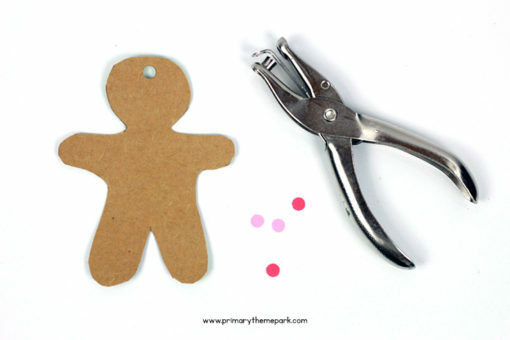 If you need a stencil, just search online for “gingerbread man outline” to easily find one. For a size reference, my ornaments are 4.5 inches tall and 3.5 inches wide. 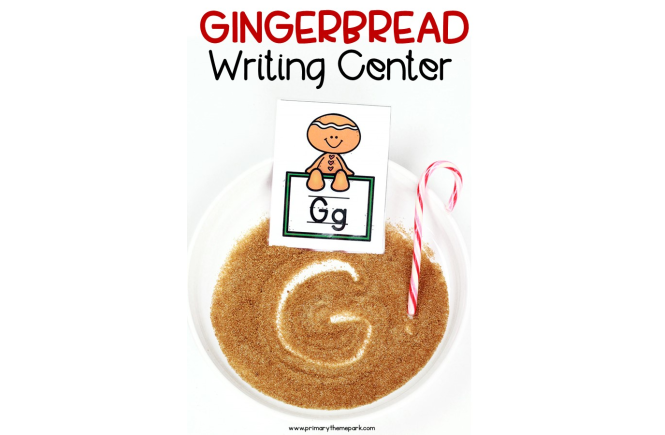 Punch a hole in the top of the gingerbread man. 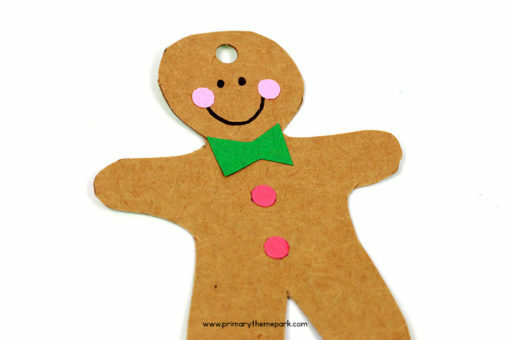 Punch several circles out of the construction paper scraps for the cheeks and buttons. Draw eyes and a smile with a black marker. Glue a pink circle at each end of the mouth. Glue on the other circles for buttons. Cut out and add a bow tie if desired. 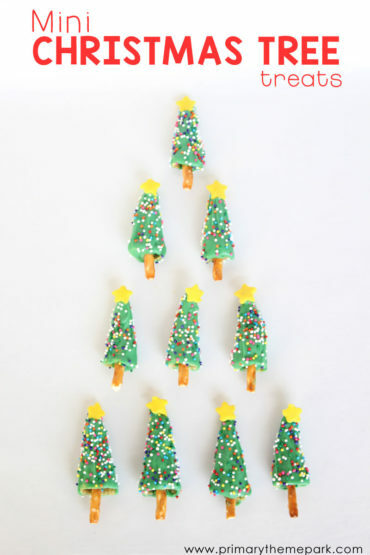 Use a white oil pastel to draw wavy lines on the arms and legs for icing. Tie a string or ribbon through the top hole to hang. 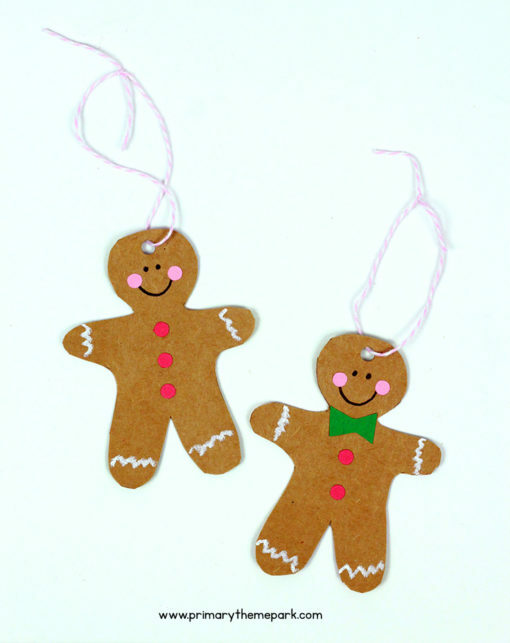 If you’re making these ornaments with really young children, you might cut out the gingerbread men in advance or help them if they need assistance cutting. Cereal boxes are a bit thicker than regular paper and require more effort to cut. 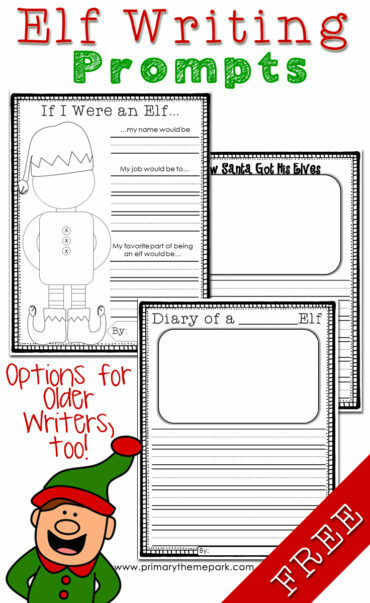 These would look adorable hung together on a tree in your classroom. 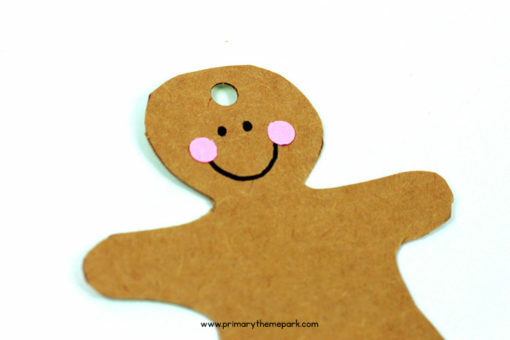 They’re also a cute keepsake for kids to take home!